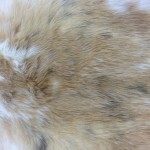 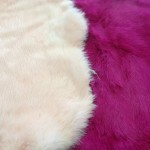 A whole genuine rabbit hide goes into this super soft, sensual flogger. 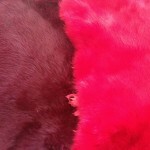 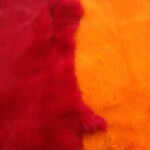 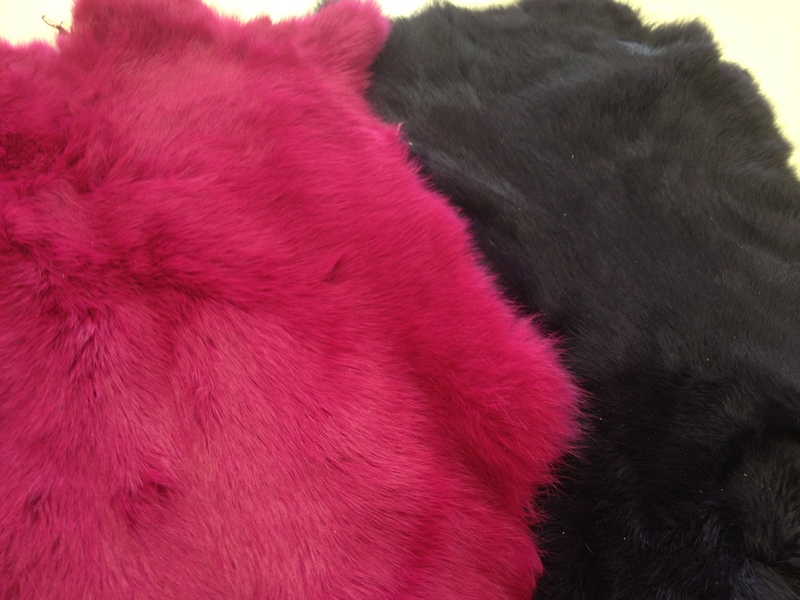 However, beneath the luxurious fur is a layer of leather falls that give this flogger a surprising ‘thwack’! 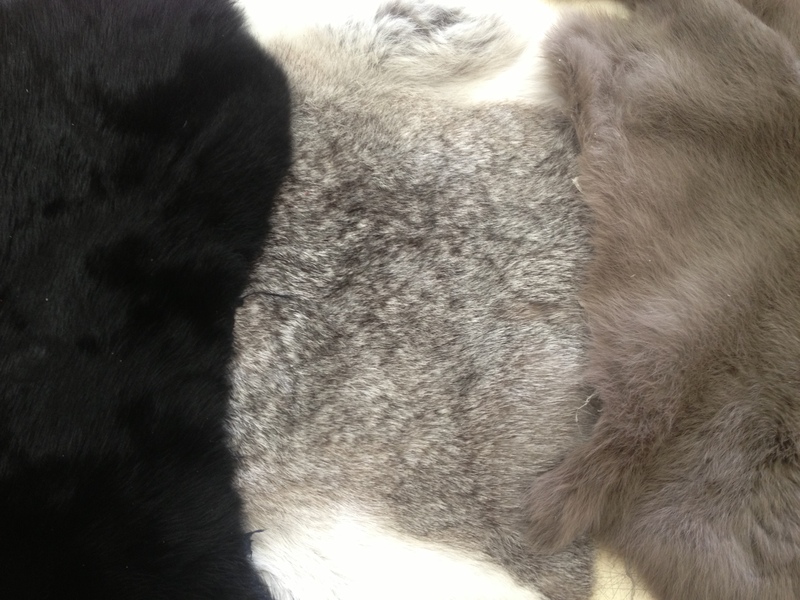 Choose from four undyed varieties and a range of dyed furs, as well as a selection of leathers and suedes. 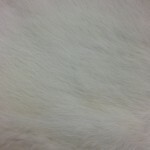 White, natural and dark natural. 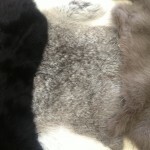 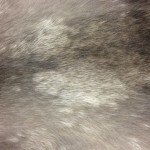 Natural hides vary in colour from pale greys and light browns to mixed colours. 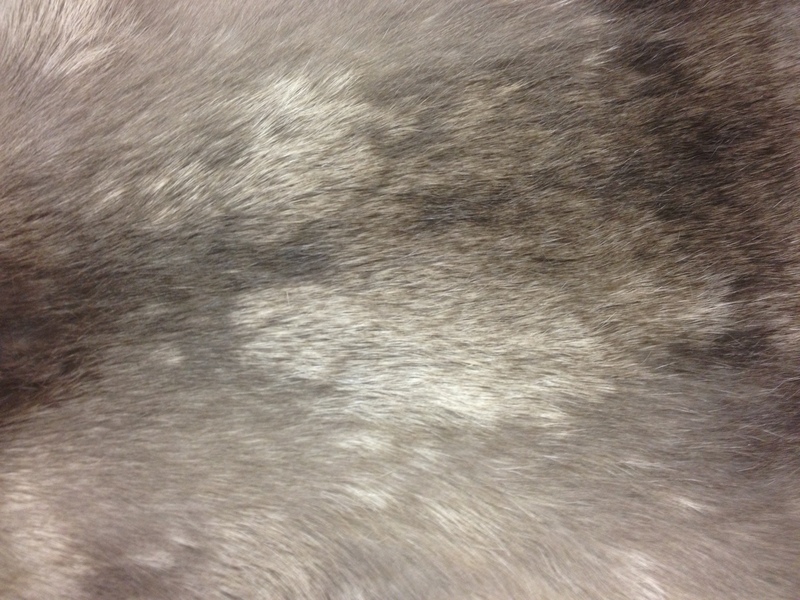 Dark natural hides are generally either a dark brown or black. 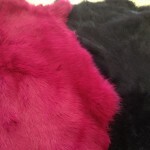 Black can also be ordered specifically. 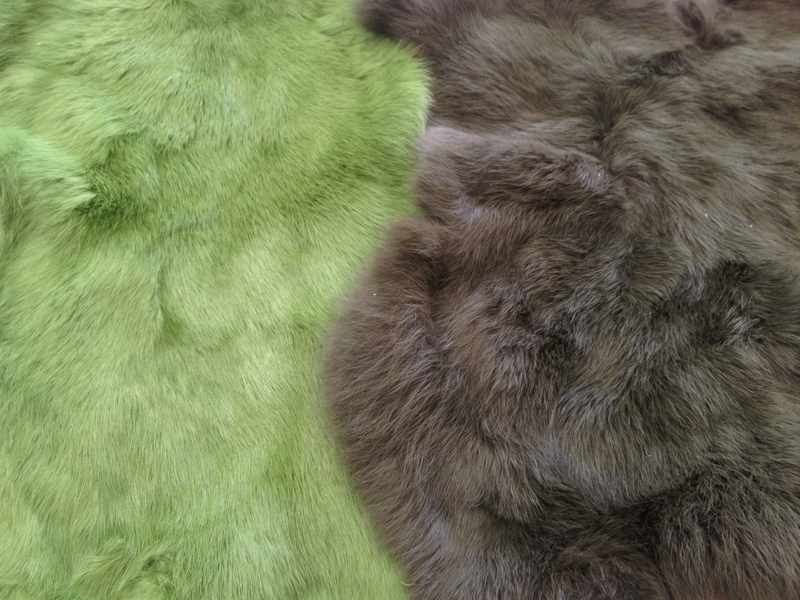 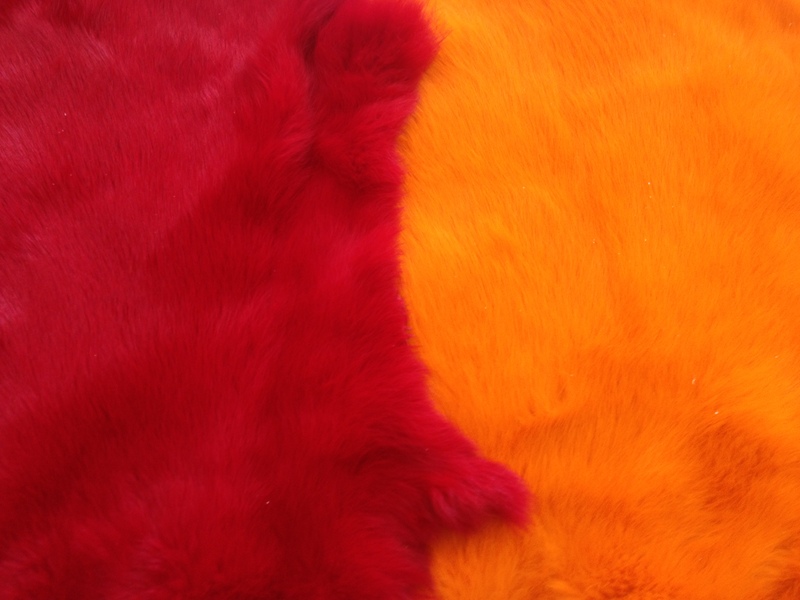 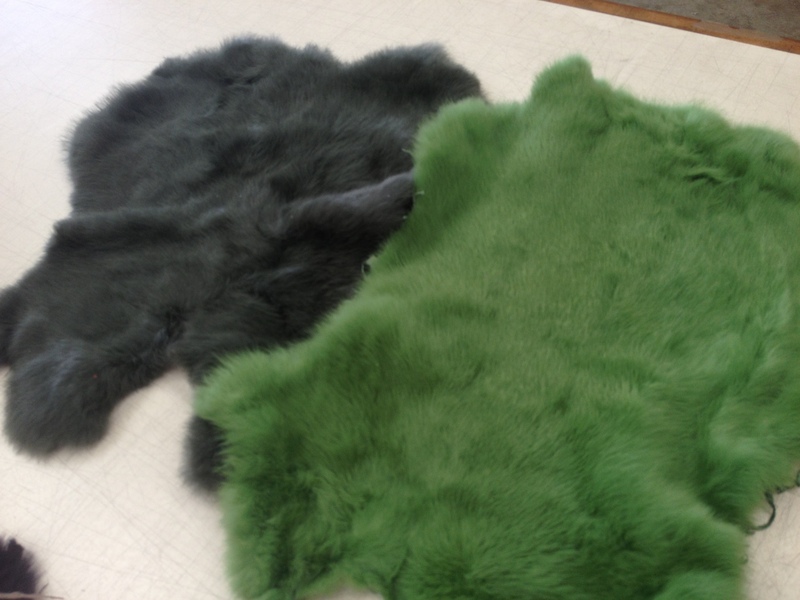 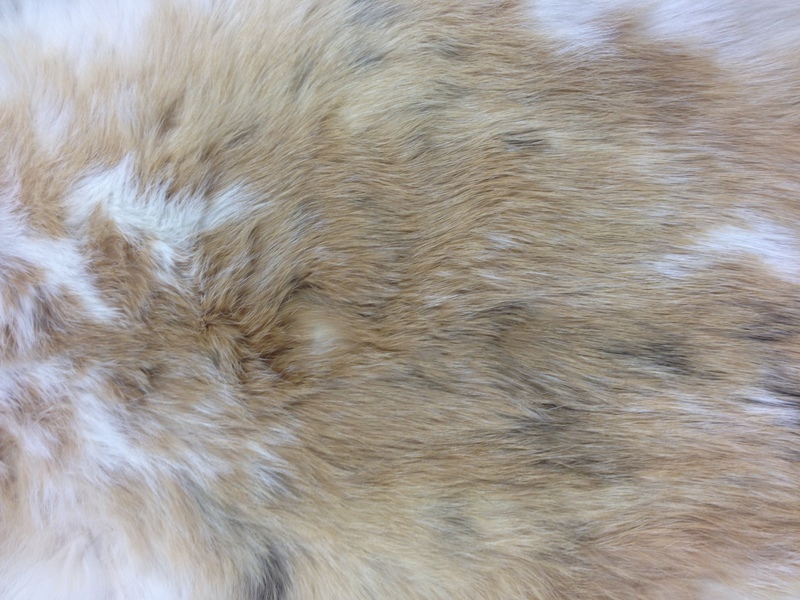 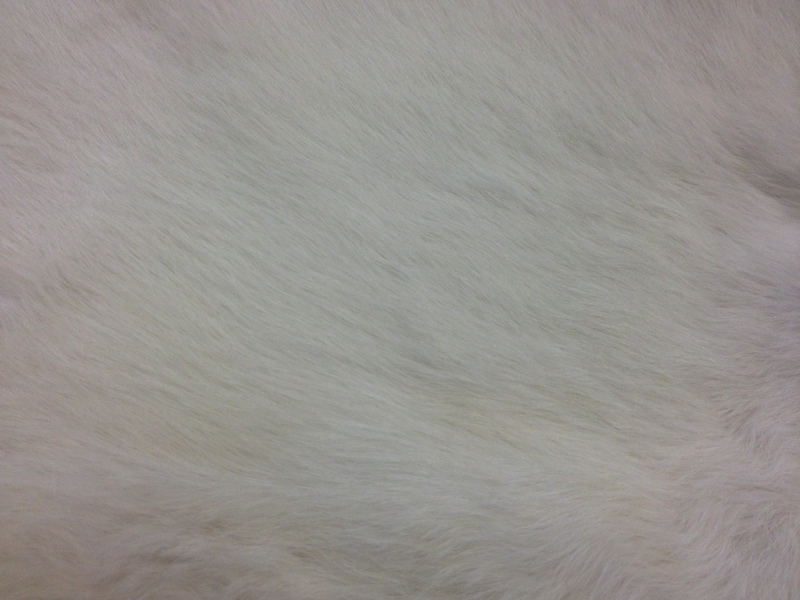 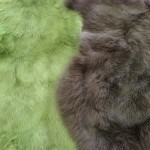 If you want a particular natural fur colour, we will try our best to accommodate but as the fur is a natural, undyed product we cannot promise the ideal shade. 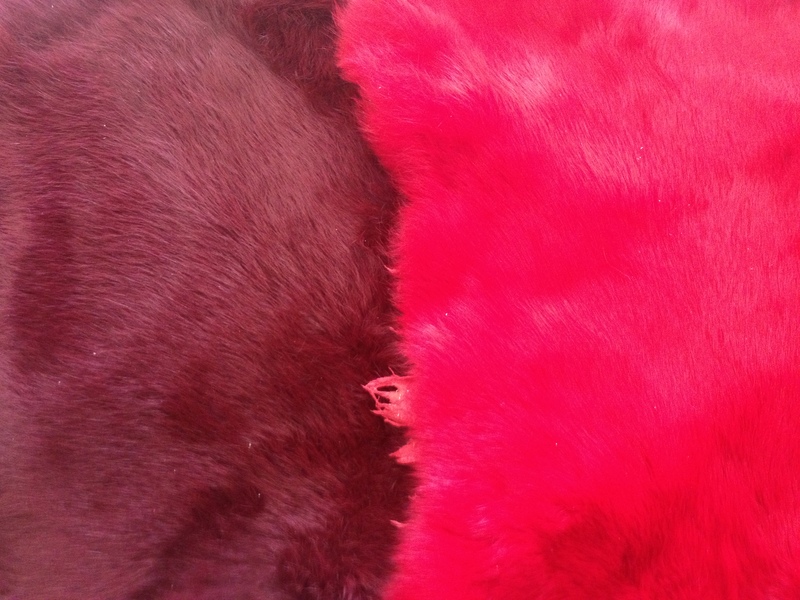 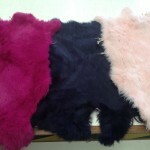 Due to the natural variation of the hides, there is no standard size for this style of flogger. 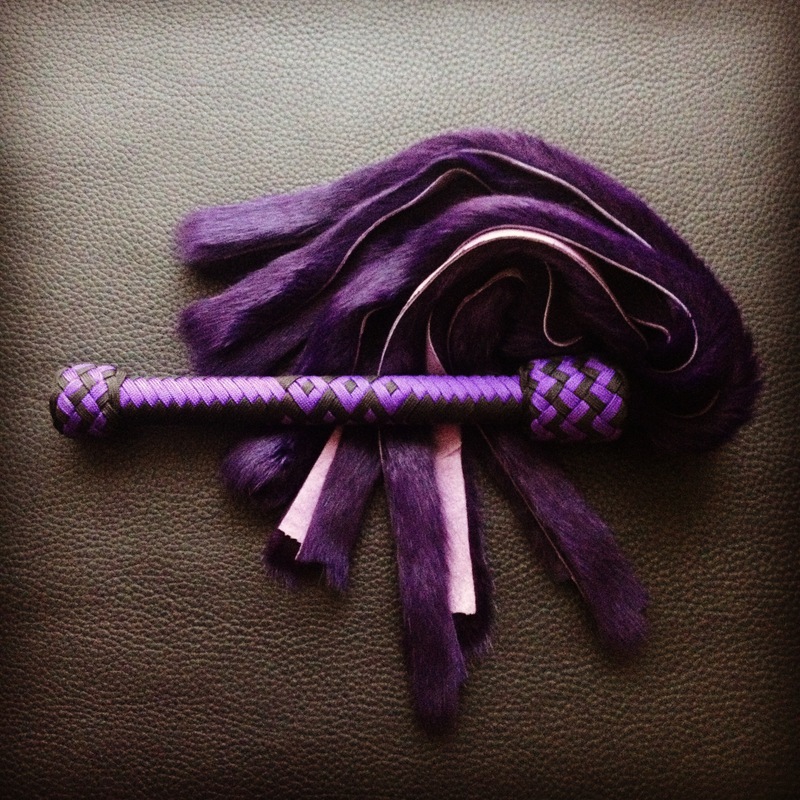 Typically the falls will vary between 9 inches and 12.5 inches long, which is comparable to our small and medium leather floggers. 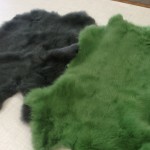 We will use the entire hide to make your flogger, trimming off only what is necessary to shape the falls. 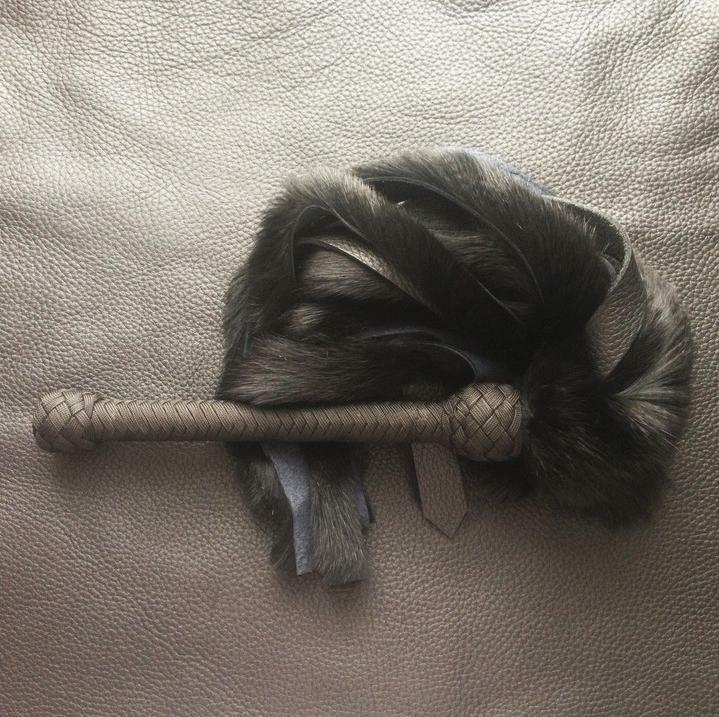 Be the first to review “Rabbit Fur & Leather Flogger” Click here to cancel reply.